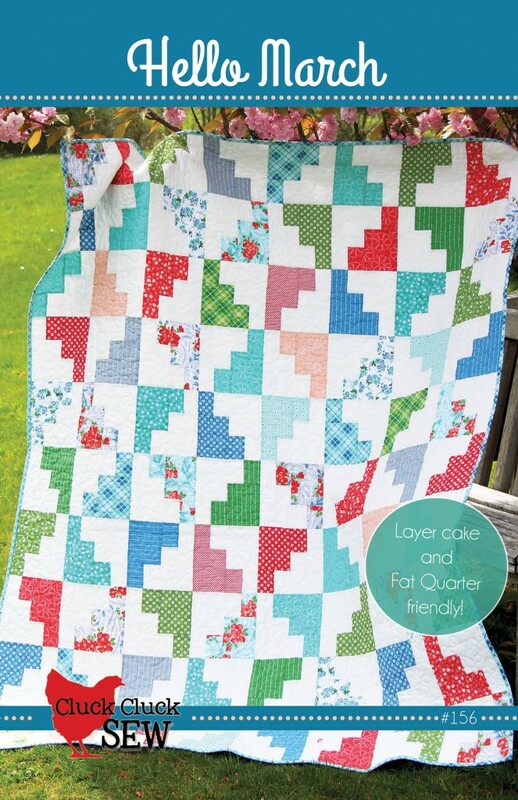 Hello March is Layer Cake or Fat Quarter friendly! The throw size is made with one layer cake. Available to wholesale shops directly (cluckclucksew@gmail.com) or through all major distributors. 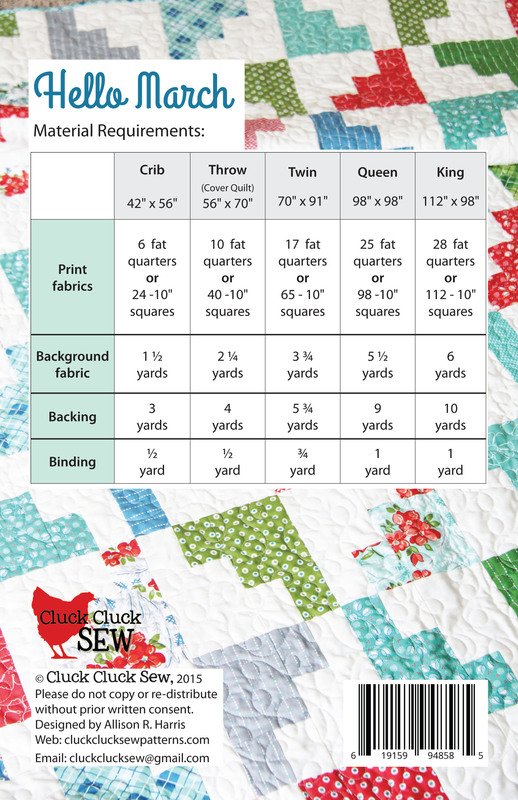 Available to retail shoppers through my personal shop (cluckclucksew.bigcartel.com) or at quilt shops in store and online.